Rufai Healing Bowl is hand crafted by Adil Can - Nursan Art Work Shop using Sgrafitto (undercoat scraping) technique and it's unique and single. Various mannerisms used by religious orders since the 12th century are reflected upon tools and equipments, and in this way symbols for religious orders came forward. 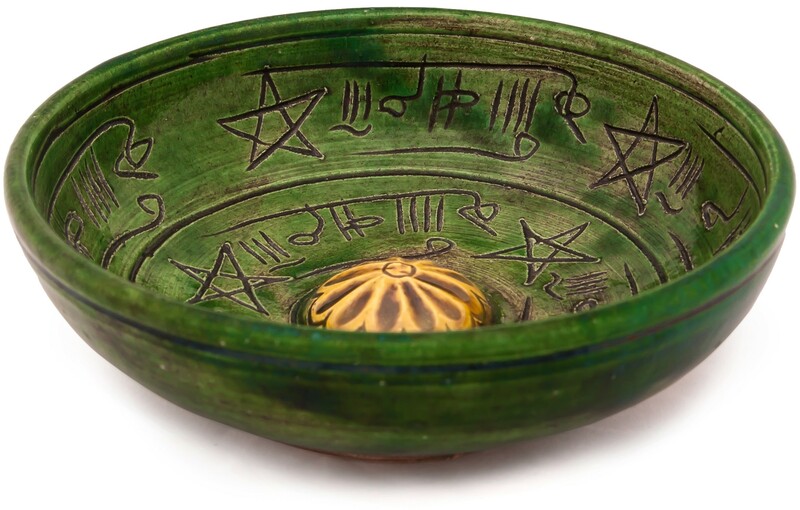 One of the objects on which these symbols have been used are the bowls inscribed with verse and blessings in inner and outer surfaces, considered to offer healing through the water it contains. 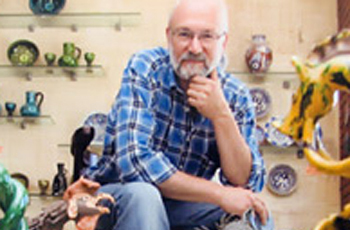 They are made with bronze, precious stones, ivory and ceramic. 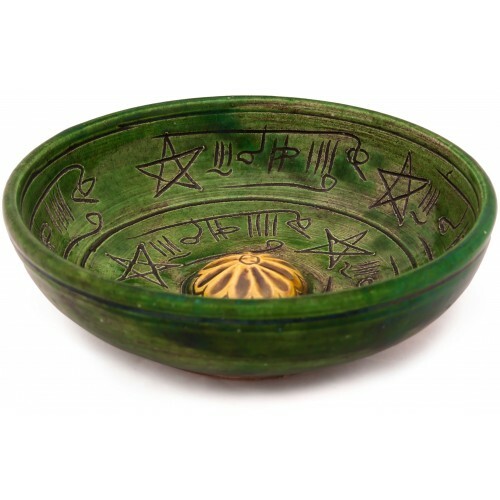 In its center it contains a sphere with writings and paintings (roses) depicting sects and Hz. Muhammed. External surface is surrounded with Syriac, Arabic and Farsi writings and blessings. Material: Ceramic basin made with Sgrafitto technique is decorated by scraping the white undercoat coated over red ceramicist clay. It's cooked on 900 degrees with green, yellow and brown glazes. Dimensions: Height 5, diameter 14 cm.